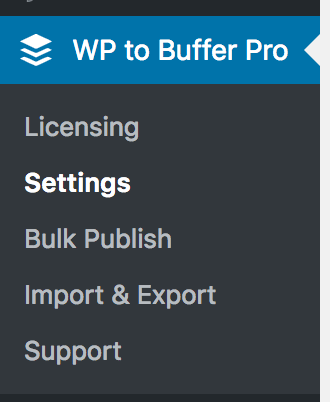 Before using WordPress to Buffer Pro, you’ll need to authenticate your WordPress to Buffer Pro installation to use your Buffer account. This ensures that WordPress to Buffer Pro can send status updates to Buffer when Posts are published, updated, reposted or bulk published, based on the Plugin’s settings. The settings interface will also change, confirming that the Plugin is authorized to post updates to your Buffer account.